For many kids, summer is synonymous with baseball, and Derby Christmas Clark is no exception. Derby’s family spends the year on the road in their Rambler but returns to Ridge Creek, Virginia every summer for the minor-league baseball season and a chance to find something like home. 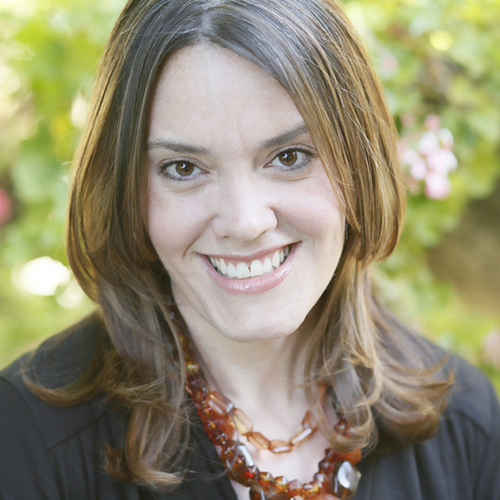 A Rambler Steals Home takes place entirely during summer, so we thought it was the perfect time to ask author Carter Higgins to share with us how a specific person, place, and thing inspired her debut novel. Here’s what Carter had to say. The enchanting thing about making up stories is not knowing whether they came from a place of truth or some kind of dream. Here’s one that I think is true, and yet I’m not entirely sure. It lives in that fuzzy space where memory and wishes collide. 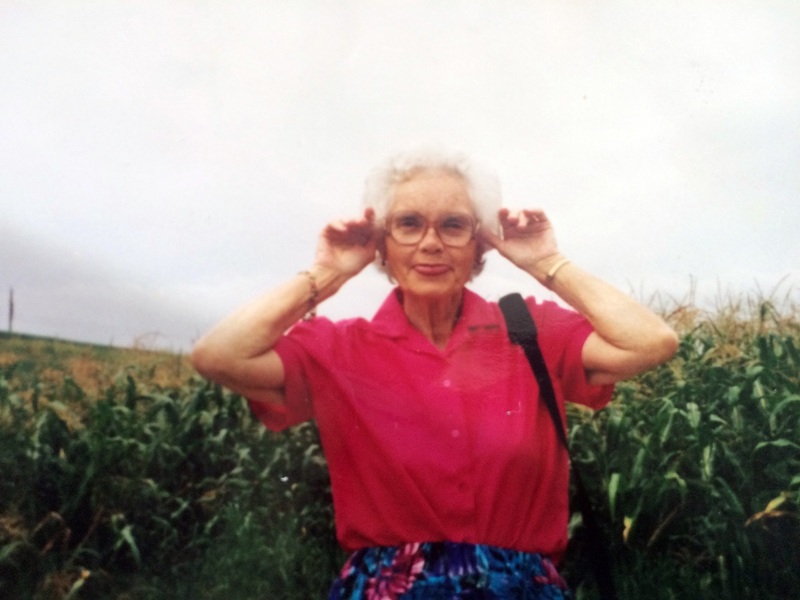 My grandmother is made up of songbirds and confetti and warm blankets. She’s a card in a cornfield. And once upon a time I heard that her brother-in-law called her Christmas. I don’t know if this is true. But it feels like a wonderfully true place to begin a story. 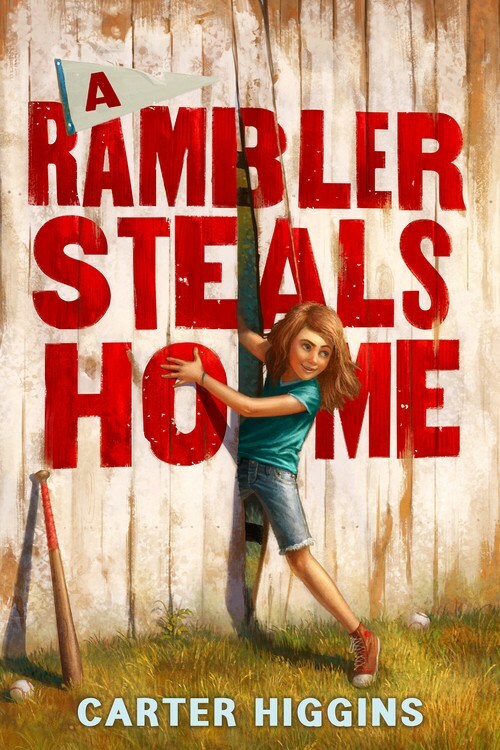 A Rambler Steals Home is the story of Derby Christmas Clark. Derby didn’t ask for these names, but she carries the moniker of a contest that is all about fierce and smack and swinging as well as the legacy of a real-life sparkle. I think she’s worthy of both. A baseball story isn’t a baseball story without a home team. 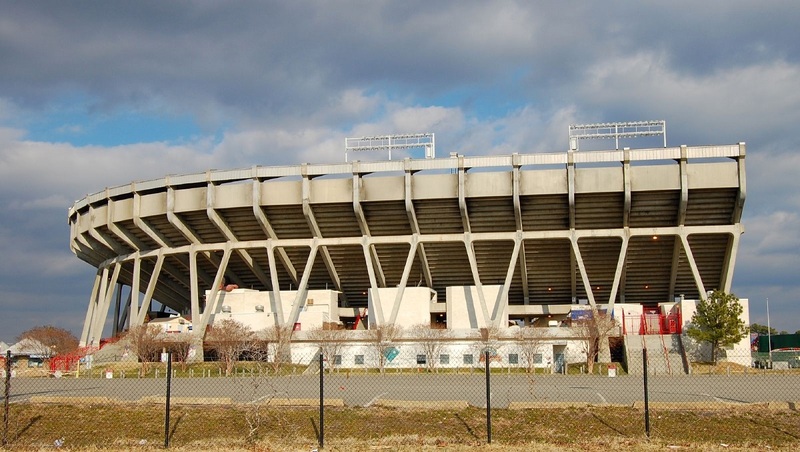 I grew up in Richmond, Virginia, which was home to the greatest minor league stadium on the planet. Now that I’m a grownup, I’ve read stories about its rushed construction, uncomfortable bench-style seating, and leaks in the concourse. I remember salty soft pretzels and cutting up cups to make noisemakers and judging the length of the summer by the time on the scoreboard as the sun set. I remember foul balls and autographs and soft serve in a plastic hat. I remember my family, every night. You can’t write a good story without having good stories in your soul. Human beings are story sharers. We always have been. When I was eighteen and heading off to college, I had no idea that I would become a librarian or an author. And yet, I knew that the best way to end one life chapter was to give a book. I knew that banjos and board games make perfectly fine parties. And I knew that if someone refused to like my choice of hat, I could just wave good-bye. I still picture that blue car sputtering when I see a car on the side of the freeway. I still worry for the cannon-dog at the big dog party. I still dream of house boats. Stories take hold. I hope you hold mine. Purchase A Rambler Steals Home by Carter Higgins for your reader or readers. 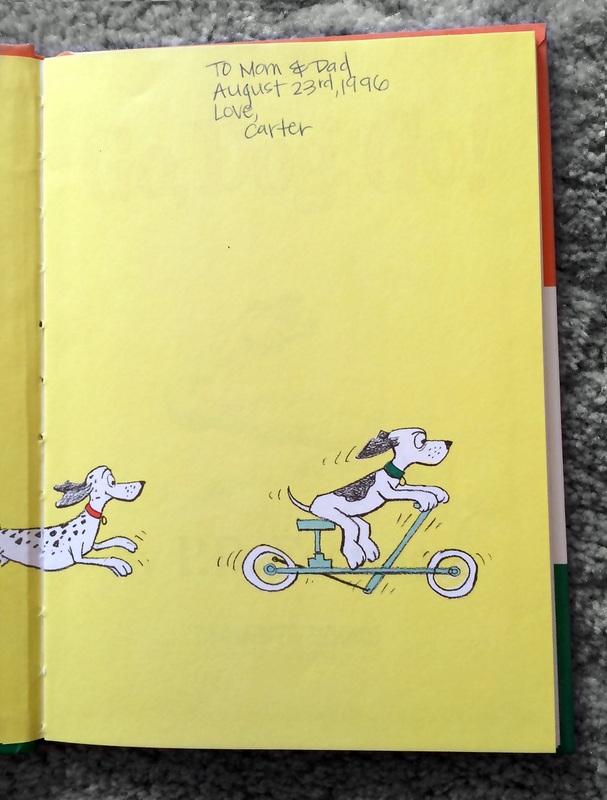 Carter Higgins is the author of A Rambler Steals Home (HMH, 2017), This Is Not a Valentine (Chronicle, 2017), and Everything You Need for a Treehouse (Chronicle Books, 2018).